Ryerson School of Journalism assistant professor Joyce Smith will be the Ryerson Journalism Research Centre’s new academic director starting August 2018. Joyce Smith, a researcher and associate professor at the Ryerson School of Journalism (RSJ), says she is excited to promote student and public engagement with journalism research as the new academic director of the Ryerson Journalism Research Centre (RJRC). “We’re here to support the education of young journalists, but we’re also here to support the work done by journalists who are mid-career and further on. And, perhaps more importantly than ever given the state of journalism and fake news, [we’re here] to help the public understand the practice of journalism,” Smith said. Smith will succeed founding director April Lindgren as of Aug. 1. Lindgren has led the RJRC since it was launched in 2011 in response to a 2005 report on Canadian News Media by the Standing Senate Committee on Transport and Communications. The committee had recommended the establishment of a “permanent, full-time research centre devoted to the study of the Canadian news media.” Today, the RJRC supports 14 researchers in their study of journalism issues ranging from source diversity to press freedom and the challenges faced by local news outlets. Lindgren will become the RSJ’s Velma Rogers Research Chair effective Aug. 1. Promoting this research will include continued collaboration with other centres at Ryerson, she says. This year, the RJRC partnered with Ryerson’s Centre for Fashion Diversity and Social Change to host a public panel on how fashion journalism can drive social change by critically examining issues such as body image and representation, diversity and gender expression. Smith’s own research focus is the representation of religion in news media. Appearing in the RJRC’s recently published online journal, The Future of Local News, is her academic article on the historical and current connections between local journalism and religious and secular charities. Smith says she is particularly interested in promoting research into and opportunities for journalism supporting the Truth and Reconciliation Commission’s 94 Calls to Action. She will present a paper on the reporting of Indigenous spirituality during Canadian reconciliation inquiries at the 2018 conference for the International Society for Media, Religion and Culture. “It’s a real luxury to have the time to analyze the patterns and the ecosystems journalists work and live in, since people actually doing daily journalism have different demands on their time,” she says. 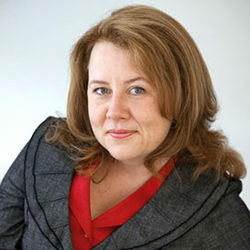 Smith joined the Ryerson School of Journalism in 2001 after serving as features editor and a founding member of the breaking news team for the globeandmail.com. Her academic background includes a PhD dissertation analyzing the reporting of religion during the 1994 South African elections, as well as a Rockefeller Fellowship at the University of Toronto’s Department for the Study of Religion. She was the original director of the RSJ’s online journalism program, the interim director (2008-2009) and director (2010-2013) of the School’s Master of Journalism program, and continues to serve on the Ryerson University Research Ethics Board. Smith has also been a member of the board of directors for the Canadian Journalists for Free Expression and the International Society for Media, Religion and Culture.